April 15, 2013: St. Paul, MN: The Minnesota Humanities Center and the Council on Asian Pacific Minnesotans (CAPM) are pleased to announce the selection of writers and illustrators for the 2013 Reading Together Project. These authors and illustrators will collaborate to create four culturally relevant children’s picture books, geared toward readers from three- to seven-years old, as part of the 2013 Reading Together Project. The books will be printed and distributed to educators, teachers, students, parents, and community members in the fall of 2013. This is the second year of the Reading Together Project collaboration between the Humanities Center and the Council on Asian Pacific Minnesotans. The Reading Together Project addresses the lack of children’s picture books that speak to the experience of being an Asian Pacific Islander (API) child in the United States. The project supports development of English literacy skills while recognizing cultural heritage and creating opportunities for children and families to learn together about API cultural heritage. A selection committee comprised of community members and project staff carefully considered all submissions. Selected writers and illustrators will each receive a $1,000 stipend upon completion of the project. Chay Douangphouxay is an award winning Lao-Khmer American artist/activist from Minneapolis, Minnesota. Ms. Douangphouxay uses her art to educate and inspire others to advocate for their communities. Her first solo chapbook, Remission: Finding Light In the Midst of Social Darkness was released as part of the 2012 Legacy Fellowship Grant and has been widely utilized as a national educational tool on issues of class, gender, and race. Chay is the Co-Founder and Co-Chair of the Twin Cities Chapter of NAPAWF, a national organization working to forge a grassroots progressive movement to advance social justice and human rights for Asian-Pacific Islander (API) women and girls. Diane Tran manages electoral and advocacy projects at Grassroots Solutions, a national consulting firm specializing in grassroots strategy, organizing, training, and evaluation. Ms. Tran serves on the boards of directors for the Citizens League, the Minnesota Public Health Association, and the Leaders of Today and Tomorrow Program of the League of Women Voters Minnesota. Diane earned academic honors while completing a self-designed bachelor’s degree in International Social Policy with a double major in Humanities at the College of St. Scholastica in Duluth. Ms. Tran leads a network of emerging leaders in Minnesota committed to building relationships, trust, and a shared vision for the state, and blogs about active citizenship and the Millennial generation at http://www.MinnesotaRising.org. Mai Kou Xiong came to the United States when she was eight years old and settled in Santa Barbara, California. 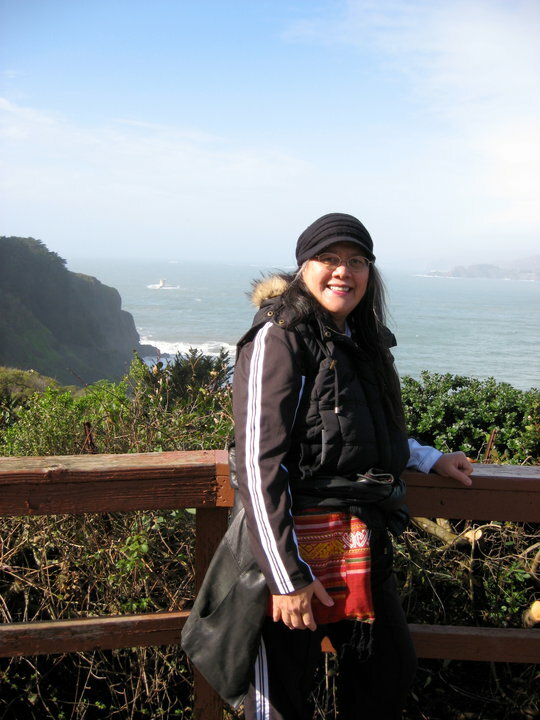 Mai has been an educator for 17 years, teaching math and coordinating Hmong literacy and culture programs and currently works as the Hmong reading intervention specialist for the Hmong Dual Immersion Program at Jackson Preparatory Magnet School. Ms. Xion co-hosts a Hmong talk show called “Xav Paub Xav Pom” with 3Hmoob TV and reports on critical issues and events that affect the Hmong community. Mai is one of the authors for the children’s book Jouanah: A Hmong Cinderella with Dr. Jewell Reinhart Coburn, and the team is in the process of publishing their next book titled The Enchanted Necklace. When Steve was younger, his heroes were athletes who could hit the ball the farthest, throw the hardest, or run the fastest. As Steve grew older, he came to realize that the true heroes are our storytellers. The true power of a story lies in its ability to meet the reader where they are at and to transport and transform the reader simultaneously. As a 5th grade teacher, Steve’s best days in the classroom are when storytellers come and cast their spell on his students in ways that no others can reach them. Steve bats right and throws right. Alex Kuno is a professional artist and illustrator living and working in Lowertown, St. Paul. The Miscreants of Tiny Town, his ongoing painting series of improvised, darkly satirical fairy tales and morality plays, has been featured in numerous solo and group shows in museums and major galleries throughout the Twin Cities and around the country. Kuno’s work is currently represented by Curly Tale Fine Art in Chicago, and he can be seen on tpt’s MNOriginal. Alex Patrick Shimkus was born in Seoul, Korea and raised in Bloomington, Minnesota and is a children’s book illustrator and a cartoonist. Alex has previously published an educational book titled, Teaching Tips for Kids with Asperger’s. Mr. Shimkus studied fine art at Normandale Community College and earned his B.F.A in illustration at the Minneapolis College of Art and Design. When Alex is not working, he is playing in his studio with all sorts of doodles, drawings, doo-dads, and trinkets. Ilhwa Gloria Kim is a student artist pursuing a degree in art and psychology at the University of Minnesota – Twin Cities, with an emphasis on animation. Ms. Kim is mostly self-taught, and digital painting is her favorite type of illustration. Inspired by children, she often volunteers at different events as a face painter or art project instructor. Vang Lee graduated from Fresno State University. Mr. Lee facilitates Hmong men groups for a domestic abuse program in St. Paul, Minnesota. Vang enjoys camping, hiking, and drawing, and he lives with his wife in Woodbury. This collaborative book project is funded with money from the Arts and Cultural Heritage Fund that was created with the vote of the people of Minnesota on November 4, 2008. During the 2011 Legislative session, the Minnesota State Legislature asked the Minnesota Humanities Center to award competitive grants to the Council on Asian Pacific Minnesotans, the Council on Black Minnesotans, the Minnesota Indian Affairs Council, and the Chicano Latino Affairs Council. Competitive grants are for programs and cooperation between the Minnesota Humanities Center and the grant recipients for community events and programs that celebrate and preserve artistic, historical, and cultural heritage (Special Session 1: Senate File Chapter 6, Article 4, Section 2, Subdivision 8). We are excited to introduce our CAPM board members for 2013. Today we have Shanti Shah. My name is Shanti Shah, I grew up in India. I have been in Minnesota since 1974. My husband Stefan and I have been married for 30 years, we have one son. I have degrees from University of Minnesota and St. Thomas. I have been working in the Information technology field for over 35 years. I have been involved in the Twin Cities Indian American community for as long as I have lived in Minnesota. I was adjunct faculty at Metro State University for 20 years and I am currently an adjunct faculty at the University of Minnesota. Tell us about your community. What some of your current involvements in the community? In Minnesota, the Indian American community has evolved significantly over the last 45 years. Its size has increased steadily. It is as diverse as India itself. We have Indian Americans from nearly every state with its distinctive language, food, clothing, dance, music and art. We are Hindus, Buddhists, Jains, Muslims, Sikhs, Zoroastrians and Christians, just to mention a few religions we follow. This highly educated group of immigrants is represented in every professional section and not to mention business ownership. It is a vibrant community with many active organizations supporting India’s regional, religious, and cultural diversity. I have been active in my community for a long time. I was one of the founders of School of India for Languages and Culture (SILC) which continues to provide an opportunity for children of Indian descent to learn about their heritage and engage with their community. I have been very involved with the India Association of Minnesota (IAM) which is an Indian umbrella organization that sponsors major programs and events such as India Day on the State Capital grounds. 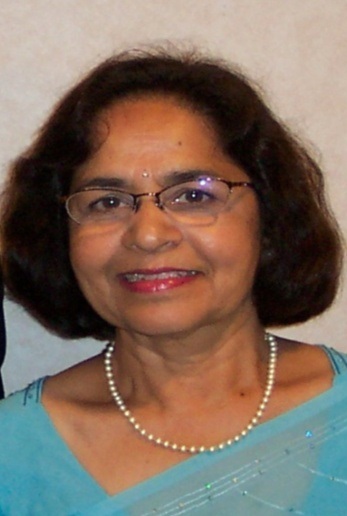 I am a past present of Jain Center of Minnesota and board member on number of organizations representing the Indian American community to the community at large including Ragamala Music and Dance Theater. Until last year, I was a Chair of IAM Trustee Advisory board. I am currently involved in future strategies for IAM and representing Indian Americans in the political process. For the 2012 election, I served as a Presidential Elector and I am involved in my Senate and Congressional District as a representative for my community. What do you hope to accomplish on CAPM’s board? I want to support CAPM’s strategies and goals as it continues to represent an increasingly diverse pan-Asian community. I hope to accomplish two things: to help CAPM to increase its influence on state budget and program priorities in support of pan-Asian communities and increase the visibility of this community through CAPM in addressing issues unique to these groups such as education, health care and women’s issues. Is there a person in your life that has been the most influential? Why? My family has been most influential in my life. They taught me that I am only whole when my community is also whole. I learned to give back to my community at an early age. It meant welcoming anyone in our home, leading efforts to feed the poor, to help the earthquake victims, help build organizations and institutions such a community temple, and working to elect political candidates who would represent people who never had been represented before in India’s young democracy. We are excited to introduce our CAPM board members for 2013. Today we have Hedy Tripp, Community Relations Committee Board Member. My name is Hedy Tripp, but my name tells very little about who I am. “Hedy” is the diminutive of my legal name “Hedwidge” from the catholic saint whose feast day was on the day I was born into a catholic, Eurasian family in Singapore. Being Eurasian, I am the result of at least seven generations of colonialism in Southeast Asia and the names of my Asian foremothers have been completely lost. I only know that my grandfather, Charles McGuire, was Chinese, adopted as a baby by the McGuire family to carry on their family name. I continue to have a multicultural, multiracial family here in St. Cloud, Minnesota. My husband, Dr. Luke Tripp, is African American and in taking his name I inherit for my children the name of the slave-owners of his genealogical history. Luke has been the most influential person in the latter part of my life with his clarity of reasoning and critical thinking. He has opened up intriguing vistas of thought about the history of America that is usually hidden from the view of most people in our society. What are some of your current involvements in the community? I am presently an adjunct lecturer at St. Cloud State University, teaching introductory classes in Asian American studies. I share with students my rich experiences from travelling extensively in Southeast Asia and analyzing concepts from an anti-racism lens. This semester our class is planning to showcase what they have learnt as an event for Asian American Pacific islander Heritage month in May. This will be held at St. Cloud State University and will be open to both the campus and wider community. The event will be both academic, as befitting a college environment, and creative with spoken word and story-telling. This is service-learning at its best. I am also very active in the St. Cloud chapter of NAPAWF (National Asian Pacific American Women’s Forum) and firmly believe in its mission of building a movement to advance social justice and human rights for API women and girls. Our work on teen leadership development was recognized by the Minnesota Women’s Consortium as their organization of the year, 2013. The Council has always been a strong supporter of our NAPAWF chapter and I hope this relationship will deepen even further. NAPAWF’s mission is to build a movement to advance social justice and human rights for API women and girls. As part of the Council of Asian Pacific Minnesotans I identify as Hapa American. It is important to me that the issues of the Council are Pan-Asian, inclusive of all the ethnic groups that make up Asian America, and also include the increasing number of mixed race Asian Americans. It is also crucial that we collaborate with the other Councils of Color in the state of Minnesota and become a strong advocate for all our communities who have experienced historical disparities at many different levels. the spokesperson for the organization. We also have a strong and supportive national governing board that has approved a strategic plan prioritizing the strengthening of leadership development throughout all aspects of the organization. Do see www.napawf.org for more information. operating infrastructure that can be integrated with programatic efforts. and can manage up, down, and sideways. Advocacy, 3) Fundraising and Communication, and 4) Finance, HR, and Administration. not be afraid of numbers and demonstrate an aptitude for budgets and financial spreadsheets. Please send out this information to your amazing network of people. It will mean relocating to either New York or Washington D.C. as that is where all the national policy action is happening! In partnership with the Council on Asian Pacific Minnesotans, MN Historical Society’s initiative to collect the stories of Asian Pacific Islander Minnesotans for archival and educational purposes is an important task that has been possible with the help of community members. As we get closer to the 50th anniversary of the 1965 Immigration Act and 40th anniversary of the 1975 Indochina Migration and Refugee Assistance Act, it’s important for our students and community to be aware of our stories. The panel will highlight the work of oral historian and Director of the Oral History Project Ryan Barland (MHS), Pa Yang (CAPM) who visited with the Filipina-American community in the most Northern corners of the state, anthropologist David Zander, who interviewed the newly arrived Karen and Burmese communities, and storyteller Phuoc Tran who collected narratives from elders and 2nd generation of the Vietnamese community. Through this panel, we hope that students will be interested and invested in collecting oral history of their own family and community and possibly be part of future projects that the OHP team will be working on. Light refreshments provided. This event is free and appropriate for all ages.